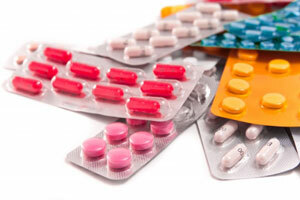 Repeat prescriptions are those medications that you are taking for ongoing conditions. These will be available within 48 hours of request. Alternatively - If you look at the right hand side of your prescription you will notice a list of your repeat medications. You can tick the items you require and leave it into the surgery. It is important to regularly review your medication to check that you still need it and that you are having the appropriate checks on your health. We will occasionally send you a ‘message’ on the right side of your script and it is important that you look out for, and respond to these messages - as failure to do so could delay your request the following month.